Address your customers by their names. 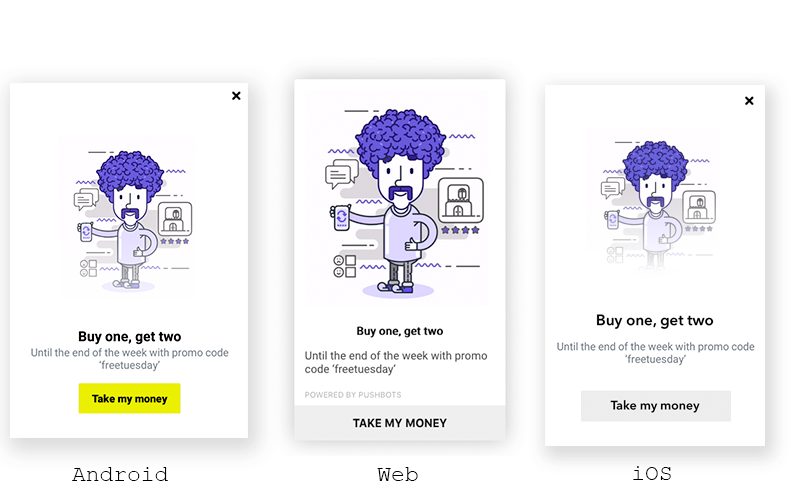 🆕 Introducing In-App Messaging for apps and websites. The wait is finally over 😍, We are thrilled to introduce an alpha version of our In-App Messaging environment. 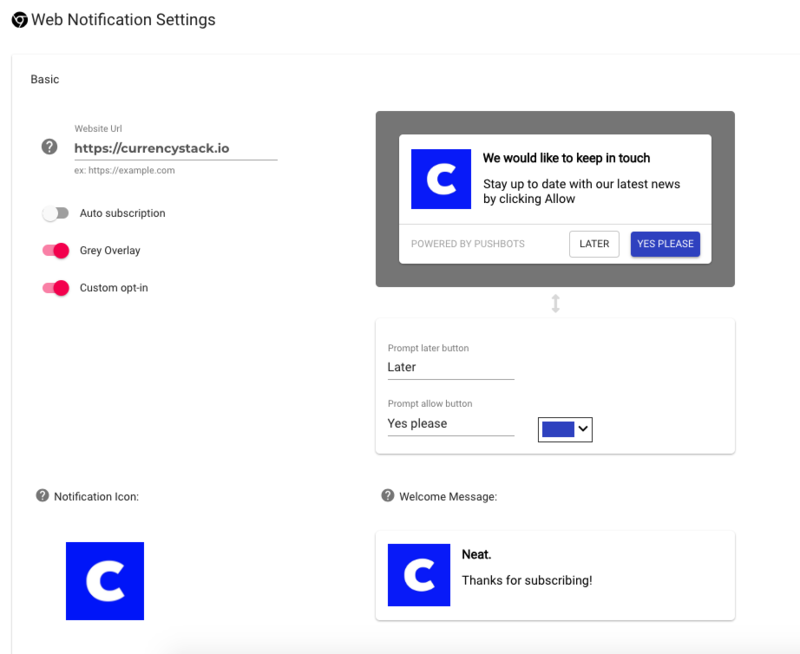 🙌 In-App Messages are notifications displayed while the user is active within the app or website, and can be triggered even if the user disabled access to Push notifications. They work exceptionally well for encouraging users to take action while they’re using your app or website. In a website, the message takes the shape of an overlay over your page.We have created a state-of-the-art editor that you can use to compose your message with no development knowledge at all. Once installed properly, your marketing team can totally run this on their own. What you see, is what you get, simply. In-App Messaging on marketing website. Improved API performance and latency. This month from Nov. 5th to Nov. 10th, we suffered an increased API response time due to intermittent DDoS attacks, that caused intermittent latency during that period. On Nov. 5th 16:36 UTC, we’ve identified a possible DDoS attack within our network, we’ve identified the source of the attack and have mitigated it while monitoring the servers for any possible future recurrence.We had another attack on Nov. 6th, but we’ve fully mitigated it, so we’ve conducted a technical review to investigate the issue closely. After two days of investigations, we’ve fixed several possible vulnerabilities in our API and implemented a new mitigation solution, the scale of attack wasn’t huge however abusing the bug caused a major impact on our API. We improved our load balancing techniques by using HAProxy and we managed to bring back API response time from around ~2s to ~150ms. This has been highly requested, and today we are happy to announce it's available in our message composer. 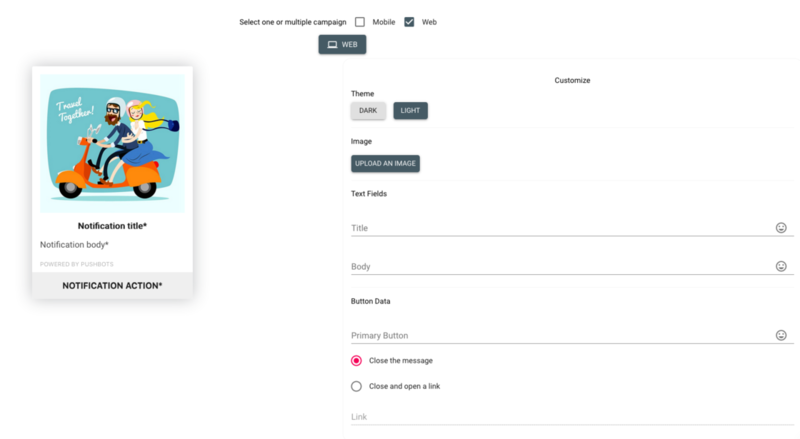 Now you can send the same message to multiple apps in your dashboard in case you wanted to send a campaign across different websites/apps you own. Start a new campaign, in the who screen select everyone, then in the top right corner you should find a button named "Send the message to multiple apps?" Click it, choose the apps you have and press send. It happens that we guess factors impacting the responsiveness of our users to notifications. So we wanted to experiment, instead of, you know guessing. 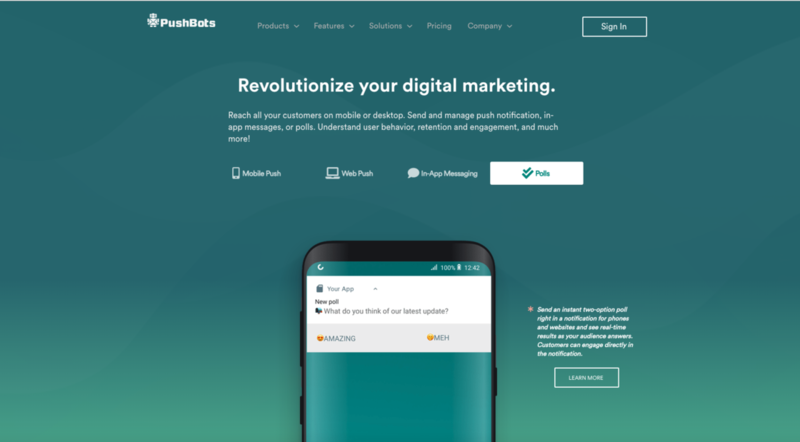 We wanted to create a real-time, smart and a beautiful A/B testing experience for push notifications. With PushBots you and your team can conduct A/B experiments whether manually (a classic 50/50 split), or automated; we send two variants to a subset of your users, then we send the better performing message automatically to the rest of your users. You can adjust the wait time before comparing results. The thing we wanted to focus on most, was UX. We wanted to see real-time experiment result stats and delivery stats. I’m perfectly aware there’s a lot to improve, but this seems to be a good start. The feature works on Mobile apps as well as websites, all-in-one! Every audience is different, so we hope this helps you figure out what works for your users! Thanks again for checking this out! If you have any questions at all, we are here to help! Your customers are people not devices (that's why we are also renaming Devices section to Customers), and that's also why we are introducing a new way to build customer profiles by tying devices to users to see who they are, what they have done in your app, and to give you a compelling way to search, find them and communicate with them using it. From now on you can use our simple API to attach customer data, like name, email, gender, and phone. Surely PushBots will start publishing changelogs very soon.